Best straps on the market. Made from nylon and will last longer than you will. If you have any questions about this product by Element Outdoor, contact us by completing and submitting the form below. If you are looking for a specif part number, please include it with your message. 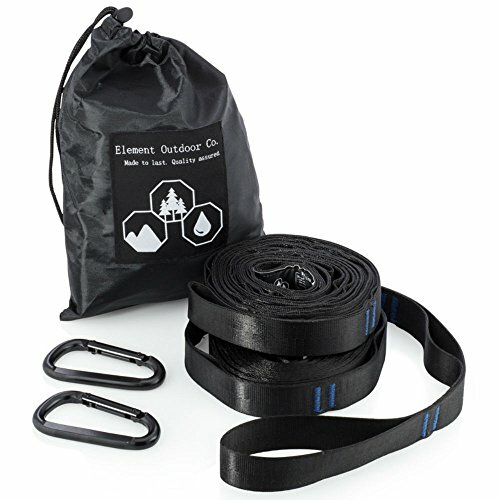 Subesty Outdoor Tree Friendly Hammock Straps(Set of 2) 20 FT Long 32 Loops and 1500LB Tested Ideal Accessories with No Stretch Polyester and Not Knot Suspension System for Any Hammock.